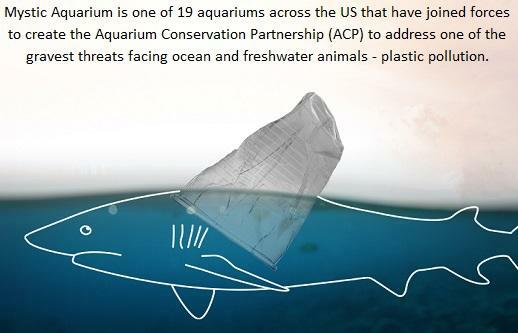 Humans shouldn't swim with sharks and neither should plastic. Help us ditch the disposables. The growing plastic pollution in our ocean, rivers, and lakes threatens nearly every species of aquatic life, including sharks. That's why we need you to be a part of In Our Hands - ACP's campaign to replace single-use plastic with innovative alternatives. Show your support and spread the word about the In Our Hands campaign! And, get a custom graphic of your favorite sea animal! Our choices are transforming the ocean in a fundamental way - and endangering everything we love about our oceans, lakes, and rivers. But your every day decisions have the power to change this. The solution to the plastic problem is in our hands. Decline single-use plastic and choose re-usables and other alternatives. Learn how plastic pollution impacts animals, regional bodies of water, and humans. Did you know? In addition to reusable bags and water bottles, paper and metal straws, there are also biodegradable waste bags, reusable sandwich wraps and compostable single-use cutlery, plates and bowls! Also help by participating in The Big Y Plastic Bag Challenge! Big Y wants to "sea change" by helping you to eliminate plastics in our oceans. 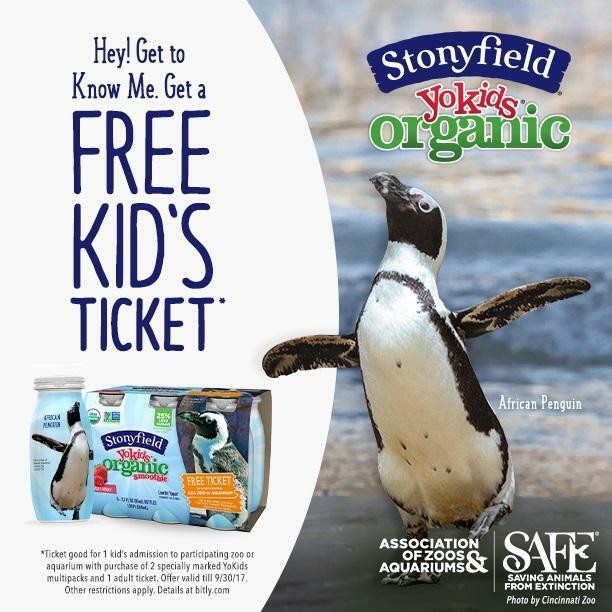 Each guest that brings in their stash of plastic shopping bags will receive a reusable shopping bag courtesy of Big Y. 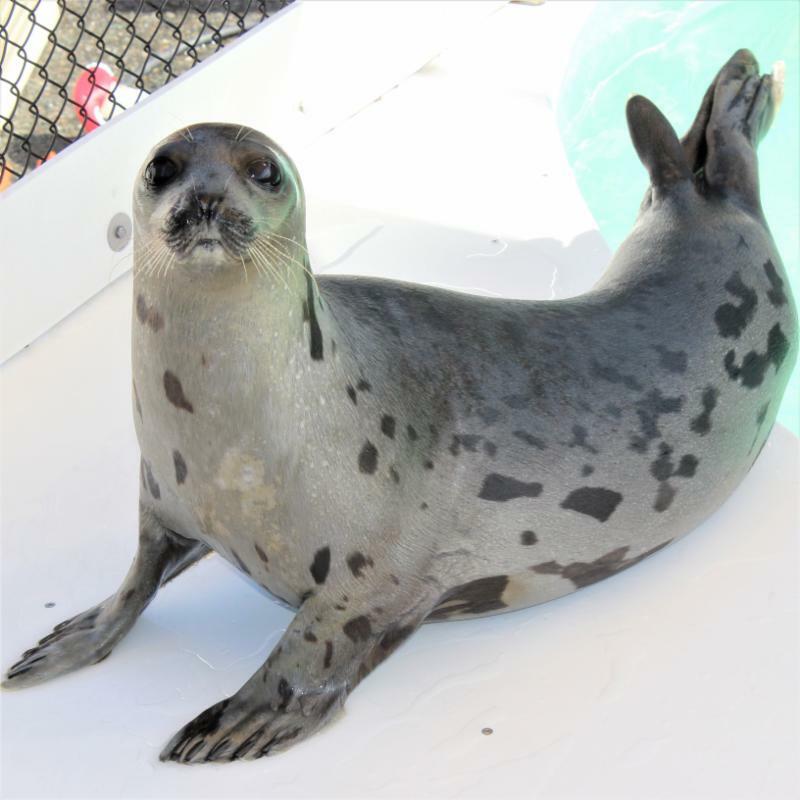 While harbor seals are most commonly found in Mystic Aquarium's Animal Rescue Clinic, our animal care professionals also treat harp, gray and hooded seals. So far this year, four (4) harp seals have received treatment in the clinic, including the recently released, Petunia, an approximately 16 month old female harp seal. wounds and pneumonia, she was released last week. Harp seal mothers are able to identify their babies by their smell. Spend relatively little time on land and prefer to swim. This species gets its common name from the harp-shaped markings on the back of the otherwise darkly colored adults. During the summer months, whales have been spotted in the coastal areas of New England where they feed on small schooling fish and zooplankton called copepods. 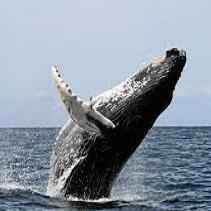 There have been numerous reports of interactions between boaters and whales in the New England waters. Click here to learn how to navigate your way around a whale sighting.